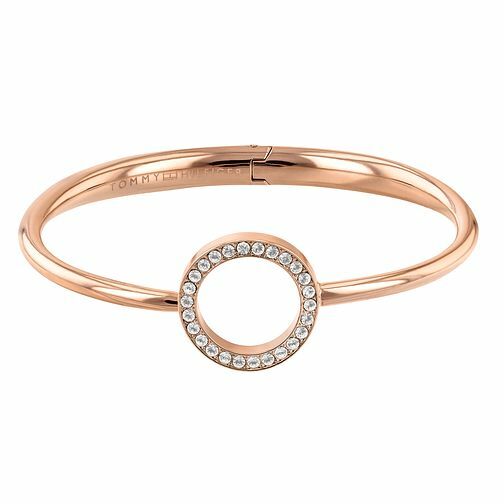 This elegant and understated Tommy Hilfiger ladies' open circle bangle is gorgeously rose gold plated, and set to shimmer and shine with crystal detailing. The Tommy Hilfiger name is engraved on the inside, alongside the flag logo. An effortless touch.